The minutes from the extraordinary Parish Council Meeting held on Monday 25th April can now be viewed. Click here and do not hesitate to contact the clerk with any questions. The next meeting for the Hall Management Committee is Wednesday 4th May at 8pm. Click here to access the agenda. The minutes from the finance meeting on Monday 18th April have now been published and can be viewed by clicking here. The next Hall Management meeting is scheduled for Monday 25th April starting at 8pm. POST MEETING NOTE – DUE TO NO QUORUM PRESENT THIS MEETING WAS CANCELLED. 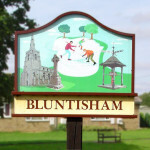 There is an extraordinary meeting being held in Bluntisham Village Hall on Monday 25th April starting at the earlier time of 7.30pm. Click here to access the short agenda. The next Finance meeting is scheduled for Monday 18th April at 8pm in Bluntisham Village Hall, Mill Lane, Bluntisham.